Do you like the Persian Gulf, ocean, sun, sand, perfect hotels and stormy night life? If so, you are strongly recommended to go to the United Arabian Emirates. You are likely to remember the time spent in UAE for the whole life. Not in vain do people come back to this country again and again. It is hardly possible to find such qualified rest anywhere else. In most cases, people come to UAE on their own, without applying to travel agencies. It means that they will have to see the sights of this wonderful country on their own as well. The easiest way to do it is to hire a car. It is recommended to take care of car rental in UAE beforehand and use an extremely reliable service bookingcar.ru. Just fill in the application form, and you will manage to get your car right upon arrival. In order for your rest to be entirely full-fledged, you are recommended to get acquainted with the necessary information beforehand. This will allow you not to waste your time on trifles. The Arabian Emirates are quite a small country. That is why it is not so difficult to maintain order on the roads. Numerous speed guns and police patrols leave no chance to offenders. Beware of camels! They often enter the roads outside the cities! A camel in UAE is the same as a cow in India. The punishment for knocking down a camel stirs the imagination. The fine is equal to 5000 Euro. A large number of speed guns and cameras are located practically on all parts of the road. The policemen very strictly follow the observation of the speed rate on roads. The maximum speed allowed within the limits of population centers is from 40 to 80 km/h depending on the road signs. The speed shall not be more than 120 km/h on highways and express roads. Remember about camels! If you go over the speed limit, a fine will be imposed on you. It is necessary to pay the fine beforehand, within maximum two days before leaving the country. There are quite many parking lots in the country. However, practically all of them are paid. In large cities, for example, in Dubai, it is possible to pay for a parking place by credit card. All parking spaces are automated. After paying for parking your car, you will get the parking voucher. After this, you are obliged to fix the voucher under the windscreen of your car so that it will be seen well. In small towns, you will most often have to pay for the car park in cash. Take care of having them all the time. The cash machines are not located near all car parks. The average cost of parking hour within the whole country is from 2 to 4 Euro. Drunken driving for foreign drivers can result in the deportation and prohibition to visit the Arabian Emirates again within the whole life. It is incredible but a fact. A driver can incur liability not only for drunken driving, but also for the carriage of alcohol beverages in his car. Do not forget that the left-of-way rule is in force on the territory of the United Arabian Emirates. Roundabouts are arranged on the intersections in the Emirates. The drivers, who are already on the interchange, have an advantage. The cost of one liter of diesel fuel is 0.67 Euro. Almost all fuel stations work in the automatic regime. The payment can be made by credit cards only. A large number of toll roads are located on the territory of UAE. However, it is necessary to point out that their cost is not so high. It is from 3 to 5 Euro. Payment for the passage of such parts of the road is made by credit card in the automatic regime. There are specials machines at every running. If you want to save money and refuse from toll roads, there are alternative variants at every route. The quality of free roads is simply perfect. The only difference between the two types of roads lies in the speed rate. 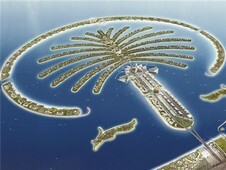 Dubai from 18 eur a day. We traveled to Israel and were very satisfied. We drove by car, which we took in the rental agency. We reserved a car and paid for it at home, and upon the arrival we got a car, which was used without restriction. It was convenient that the required insurance were issued immediately without additional charge, as it was included in the cost. On the advice of my good friends we went on a road trip around Austria. We got great impressions and an opportunity to see a lot of interesting things. We rented the car at home via bookingcar. Due to this search engine we had a journey in an excellent car for modest price. We paid for the car via this site.